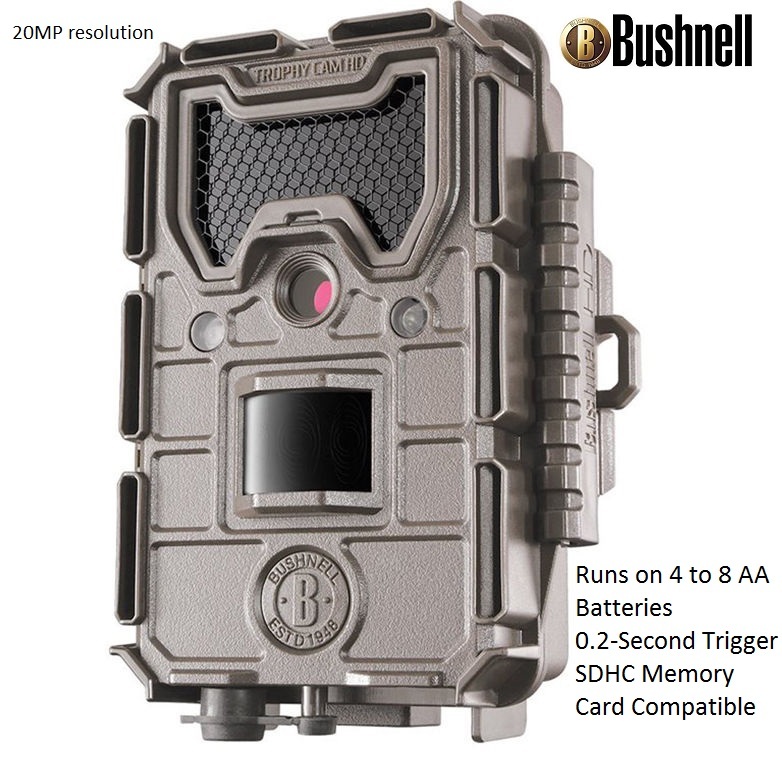 Bushnell Trophy Cam HD Aggressor No-Glow Trail Camera has a 20MP resolution and a quick 0.2-second trigger speed. 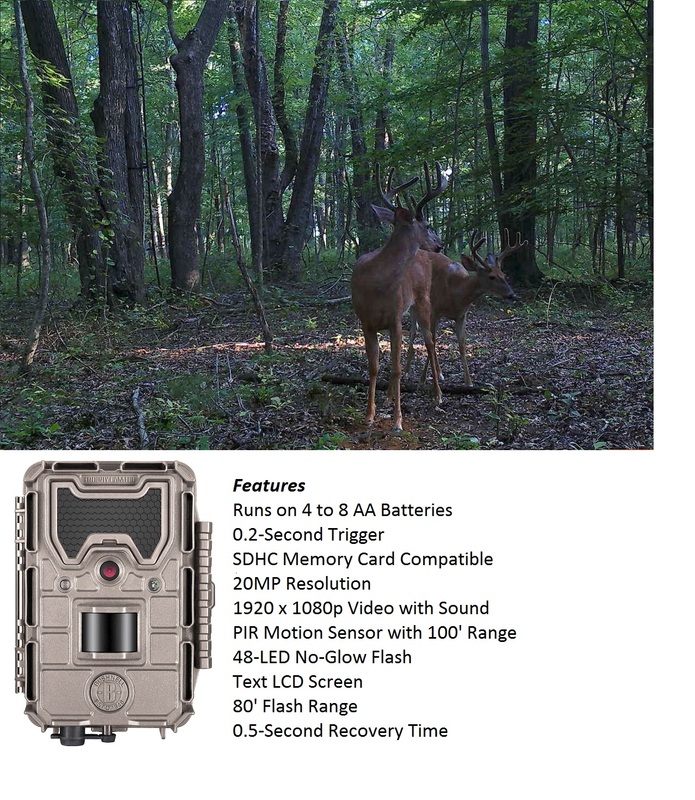 The brown Trophy Cam HD Aggressor No-Glow Trail Camera offers the ability to capture high-resolution stills or HD video of wildlife and people on your property or hunting grounds. It comes with a black and white text LCD viewer. Its 48 No-Glow LED flash array has a range of 80 feet but won't spook game or alert an intruder. The shutter is ready for another photo after a recovery time of a half second. A removable anti-reflection LED cover helps to ensure the camera remains unnoticed by reducing reflections on the LED array's protective panel, but it can be removed if you want to boost the flash output a bit. The passive infrared motion sensor has a detection range of 100 feet. 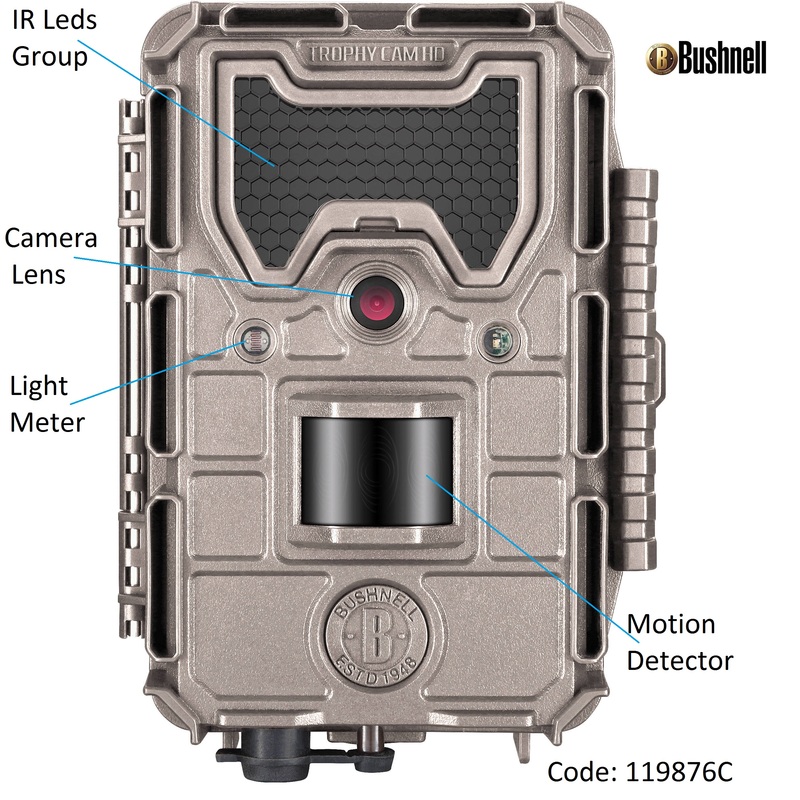 Along with triggered images and videos, the Trophy 20 Mega Bites Cam HD Aggressor includes a reinforced cable lock channel and latch, is weather resistant, and is operable at temperatures from -4 to 140°F. 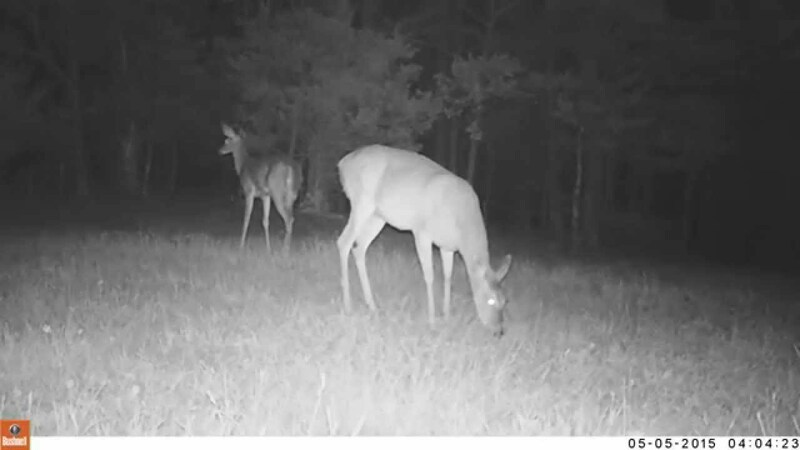 For more information about, Bushnell HD Aggressor 20MP No Glow Trophy Cam website.